How much did you pay for your movie ticket the last time you went to the theater? Doesn’t it seem like movie ticket prices keep going up every few months? According to the National Association of Theatre Owners, the average movie ticket prices hit an all-time high in 2016 topping out at $8.73. 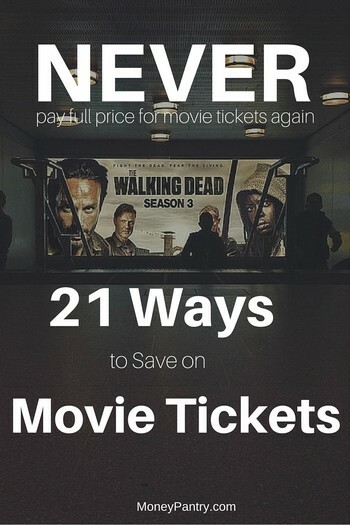 There are still many ways you can save money on movie tickets. From using discounted movie ticket sites and drive-ins to exclusive deals, promo codes and hacks that get you free movie tickets, you can find many ways to pay less at the box office. This is a list that covers anything from getting cheap and discounted movie tickets to totally free tickets and everything in between. These sites and methods work for a variety of different needs. I recommend trying several out and seeing which one works best for you. I am a big advocate of using cashback sites like eBates whenever you shop online. Instead of going straight to AMC’s website, you go to eBates, search for AMC and once you find it, you visit AMC’s site from there. AMC pays eBates a commission every time someone who comes from eBates buys a ticket. eBates then shares some of that commission with you (the shopper) in the form of cashback. Sure, you may not get the ticket any cheaper, but the cashback you earn means at the end of the day you spend less money. Plus, sometimes cash back sites get exclusive deals and coupon codes just to share with their members. So you may also save a little that way. Most theaters show upcoming movies to a select group of audience for free before the movie gets released to the general public. This, of course, happens mostly in major cities. Attending movie screenings is a great way to get the ultimate movie ticket deal, free! MoviePass is a new subscription service that let’s you see unlimited movies in theaters for $30 a month. Of course, use this only if you do see more than 1 movie a month. If you are a movie junky and go to the theater a few times a month, this will absolutely be worth it as it will pay for itself. Sometimes, it’s easier to go straight to the source instead of shopping around. While you can go to a ticket sales website to save some money (something I’ll get to in a bit) you can also go to your local theater’s site. If it is part of a big chain, like AMC or Regal, then the chances are that they’ll have a mailing list that will alert you to certain deals and promotions. If you sign up, you can seize on any good opportunities that come your way. It might be concessions savings, ticket savings, or other types of discounts. Let’s talk about loyalty programs. Depending on the theater chain, this might be referred to as a rewards program or a loyalty program. The core concept is the same – get a card and spend money in the theater to earn credit towards free/discounted purchases at the theater. Most major theater chains will feature some type of rewards program. You may also be able to accumulate rewards from taking part in other sorts of special offers that you’ll receive emails and notifications about. Even if you’re not the type to sign up for a mailing list, you can still get alerted to deals and such by a following a theater’s Twitter and Facebook pages. Following companies, and not just theaters, is a great way to get exclusive deals and discounts as most companies are looking to increase their social media following, so they offer exclusive deals to their followers to entice more people to follow them. This is one company that I have a lot of hope for. DealFlicks is a growing startup that is dedicated to making deals with theaters in order to pass savings on to customers with deals. First you go to the site and enter in your zip code. Then you’ll get a list of theaters with movies in your area that have deals available. The interface is easy to use and will let you know when the showing is, how much the discount is, and what the deal includes. Now about these deals – the way it works is that you purchase a ticket along with a concession, something like a small popcorn. You purchase both of them at a discount. Then you show your voucher at the theater and get the things you paid for. You might be a bit wary about having to purchase a package like this, but the cost of a ticket and popcorn can often come out to less than the cost of a normal ticket itself. The only real drawback is that the ticket is often time-locked, so you’ll have a specific time you need to get there in order to collect on your purchase. Unfortunately, the one near us had to close down last year because they weren’t getting any business. We (GF, our Dog and I) used to go there often. The tickets were $3 per person, yes $3! And they always had 2 showings, so you could watch 2 movies on a big screen for $3. But there are actually some drive-in theaters still operational in the US. While they have largely been phased out in favor of theater complexes, there are still some out there. And they are generally a pretty good deal. Drive-ins show a lot of back-to-back double features, and the tickets are often very cheap, to boot. Cheaper than a normal ticket in a theater complex, most of the time. More and more movies are coming out in fancy formats. While these are a treat to audiences who love spectacle and wonder, they come with an obvious cost. And you’re paying for that luxury every time you see movies in IMAX or 3D. If you want to see movies on the cheap, don’t be afraid to ask for your tickets in ‘standard’ 2D format. 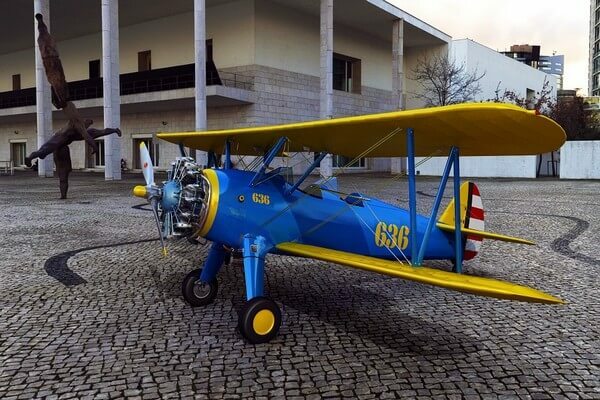 You can easily save a few bucks by avoiding these attractions. There will always be some movies that are better in 3D, but you don’t need to watch a 90-minute comedy in IMAX! While you can sometimes find deals on a ticket sales site like Fandango, more often than not you end up paying for the convenience of purchasing tickets digitally. Instead, I’d recommend going for a site that offers bigger discounts. You can get these discounts by purchasing through something like LivingSocial or Groupon. These sites allow you to pool money with other users so you can all score an easy discount on an event, like wine tasting or movies. While group websites will still be charging you for convenience, the discounts you can get might easily balance that out. There’s a reason those tickets on Saturday evening are so pricey. It’s because that’s when everyone is ready to go see a movie! If you want to get a better deal, you’ll want to choose a different time of day. There are a few things that I would recommend keeping in mind when you are choosing when to go to the movies. Not everybody is capable of getting out to see a movie on a weekday, but if you can, you’ll reap the discounts. Since the ideal movie time is nighttime on a weekend, you can figure that midday on a weekday is going to be much cheaper. Most towns have a discount theater that shows second-run and retro throwback movies. Unless you need to see the movie urgently, you can wait until it comes to these theaters and pick up tickets for $1-$5. This might sound counterintuitive, but a lot of people have come to accept paying a few more dollars so they can get their tickets from home instead of standing in line. You can cut those fees by getting your tickets straight from the box office. The modern world is full of conveniences that cost you small fees, and you can get discounts by avoiding the most convenient option. There are actually a number of sites that deal in unused gift cards, which you can use to get discounts on movie tickets. Then the site sells you the gift card for less than the card was initially worth, like $20 for a $25 gift card. You buy the card and use it, simple as that. You can use a site like CardCash or Gift Card Granny. Gift Card Granny is especially great if you have a chain theater in your town because they have individual store pages for all of the major outlets. For example, I did a quick search for AMC theater and found a few thousand gift cards. I could buy a $25 AMC gift card for less than $20. You may be used to seeing deals on the side of your soda can or in other places. Perhaps in the paper for your local grocery store, or something similar. Believe it or not, most of these deals are harmless and easy to claim! All it takes is seizing on it, it’s a piece of cake. Millions of us have AAA membership. It’s a great service to have around while you’re out on the road. Well if you’re a member of a service like AAA or Costco, you should know that those companies frequently offer deals for things like movie tickets and other entertainment. It’s as easy as looking up your AAA benefits. This even goes for something like a union. You never know all the stuff your organization might be involved in, so don’t forget to check in on your benefits and see what you have available. 16. Use your citizen’s discounts! Many of us forget that certain members of society get discounts in a lot of places. Seniors, students, and military members are all people in society who may be eligible for discounts. Cinemark is especially good about honoring these positions, but you should always check with your local theater. A lot of us are members of some type of rewards program. It might be as simple as our credit card’s rewards points, or something more specific like MyCokeRewards. Regardless of what it is, you should look into the rewards catalog and see what you can get. Tons of rewards programs offer free movie tickets as a form of reward, and what’s even better is that you don’t need massive points built up like you do for Frequent Flyer Miles. A movie ticket might be within the reach of even a casual customer. Pampers Gifts to Grow and Disney Movie Rewards are two other businesses to look into when it comes to getting movie tickets as rewards. You may be surprised to learn (as I was) that you can buy movie tickets in bulk. Though you’re unlikely to see a great discount coming from it unless you’re buying a lot of tickets, it’s still worth looking into. If you’re buying upwards of hundreds of tickets, the $3 or $4 discount per ticket is going to start adding up in a really big way. For anyone who has a need for so many tickets (or is willing to really invest in seeing movies), this is a viable option. This one is a bit of a “life hack” and a no-brainer. Communities will often hold “movie in the park” type of event in the warmer times of the year like Spring and Summer. Plenty of people avoid getting involved with community events, but this is nothing to pass up! Free movies outside are one of the life’s simplest pleasures. If you want a discount on movie tickets, try to win them for free! Since movie tickets are relatively inexpensive, they make a popular gift in instant win and other low key types of sweepstakes. Fandango, the noteworthy ticket distribution service, runs sweepstakes for free movie tickets here. But you can also Google “Free Movie Tickets” or “Movie Ticket Sweepstakes” if you’re looking for more options. Almost all major national theater chains offer group sittings where you can purchase tickets for a group (family, friends, coworkers, etc) and see the movie with the group. And since you are buying in bulk, you get decent discounts. Use these tips to save yourself some money the next time you go to the theater. And if you know of any other way yo get discounted or free movie tickets, please let us know by leaving a comment below. I would never have thought of trying that if not for this article. You always have such great advice!